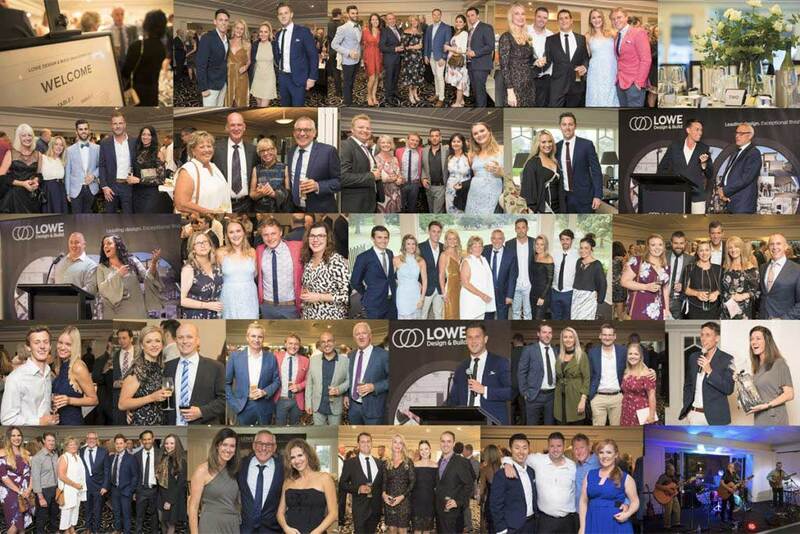 On Saturday 2nd December we held the launch of the Lowe Foundation, celebrating more than 30 years of commitment to community well-being with a gala evening at Woodlands Golf Club. The event reinforced the strong connection between Lowe Design & Build, and the local community, in particular, our two flagship charities Outside The Locker Room and Camp Awakenings. Guest speakers were Jake Edwards, former AFL player and Founder of ‘Outside the Locker Room’ (OTLR, outsidethelockerroom.com.au) as well as Michael Weiser and Sandi Sieger, Program Directors of Camp Awakenings (campawakenings.com.au). OTLR is a welfare and education program for youth of local sporting clubs. The program looks to empower, educate, and support young adult participants both on and off the field. Camp Awakenings provides Year 9 participants the opportunity to develop and harness methods and skills to counter the challenges faced by today’s youth. When Lowe Design & Build was established in 1984, it was at this time Brian Lowe thought it equally important to be an active and involved community member and so signed up to the Chelsea Rotary Club. Brian’s contribution to the community was plentiful. In 2011 Kingston City Council awarded Brian Lowe with the Outstanding Citizen of the Year Award for his service to the community and for setting up a trust fund through the construction business that raised over $1,000,000 to fund various local schools, facilities and programs. With Matt Lowe now at the reins for Lowe Design & Build, his focus is to continue the company culture of community support and involvement. The Lowe Foundation currently supports numerous programs many of which focus on youth development, mental and physical well-being and cancer research.